'International community has obligation to protect Palestinian rights in Jerusalem and fund UNRWA', says Jordan's King Abdullah. King Abdullah II of Jordan demanded the international community intervene on behalf of the Palestinian Authority and Jerusalem’s Arab population, following President Donald Trump’s December 6th declaration recognizing Jerusalem as Israel’s capital, and the decision by the US to withhold more than half of the $125 million in aid it was scheduled to transfer to the United Nations Relief and Works Agency (UNRWA) for the first four months of 2018. On Monday, Jordan’s King Abdullah II met with Palestinian Authority chairman Mahmoud Abbas in the Al Husseiniya Palace in Amman. During their meeting, the two discussed “the threats posed” to Jerusalem, a government statement read, and Abbas’ efforts to garner international support for the PA’s demands for a Palestinian state with Jerusalem as its capital, Jordan’s state media outlet Petra reported. 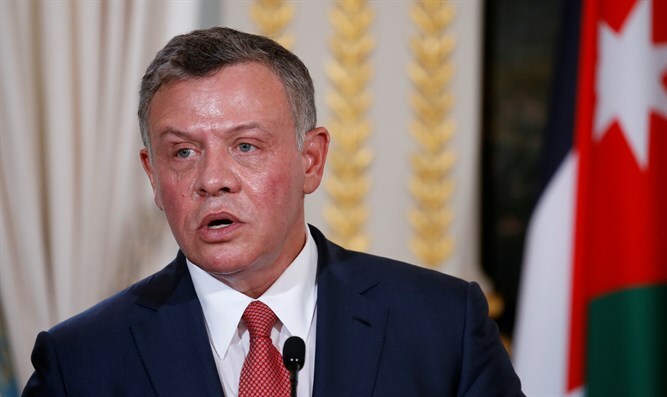 Shortly after the meeting, King Abdullah issued a public statement calling on the international community to “fulfill its responsibilities” towards Jerusalem’s Arab population, AFP reported, and to support UNRWA following American funding cuts. "The international community must fulfil its responsibilities to protect the rights of Palestinians, Arabs, Muslims and Christians in Jerusalem," Abdullah said. Jerusalem is, the Hashemite king argued, "the key to achieving peace and stability in the region." Last month, Abdullah decried Trump’s recognition of the city as Jerusalem’s capital, calling the move "a violation of decisions of international law and the United Nations charter".